On the morning of Wednesday, November 15, Hasan Momtaz, a teacher for the Baha’i Institute for Higher Education (BIHE), was arrested at his mother’s home in Shiraz and taken to Adelabad Prison. According to a close relative of Momtaz’s, authorities arrested him so that he could start serving a five-year jail sentence, and he will soon will be transferred to Rajaei Shahr Prison in Karaj near Tehran. The Baha’i community established the BIHE in 1987 as a peaceful response to the Islamic Republic’s repeated denial of their right to higher education after the 1979 Islamic Revolution. Thousands of students attend BIHE classes in the homes of Baha’is and via the internet. Many of them have pursued postgraduate work at some of the world’s leading universities, which recognize qualifications completed at the institute. But, far from tolerating the BIHE, since the institute was established, Islamic Republic authorities have harassed, arrested and imprisoned teachers, as well as young Baha’is who pursue higher education. 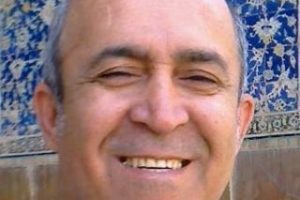 Hasan Momtaz’s home in Tehran was among several BIHE teachers’ homes to be raided and searched by security agents on May 22 and May 23 in 2011 [Persian link]. The raids took place in Tehran, Isfahan, Shiraz and Zahedan. Then on March 12, 2013, 10 Baha’i teachers including Hasan Momtaz were summoned to court at Evin Prison and told that to secure their freedom, they could sign a pledge to stop working with the BIHE and teaching Baha’i students. Momtaz and six others refused to sign the pledge and were arrested on the spot. The judge ordered them to pay 50 million tomans, close to $15,000, as bail for release pending their trials. 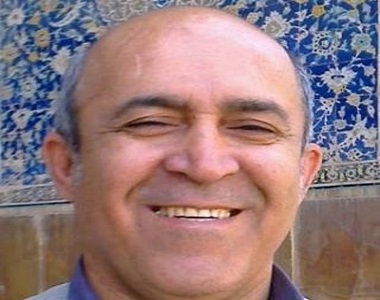 On February 25, 2014, Judge Mohammad Moghiseh of Branch 28 of the Revolutionary Court, who has a long record of violating human rights of defendants, including in prominent cases against the Baha’is, sentenced him to five years in prison on charges of “membership to the illegal organization of the deviant Baha’i sect” and “activities against national security.” On December 8, 2014, the appeals court upheld the sentence. 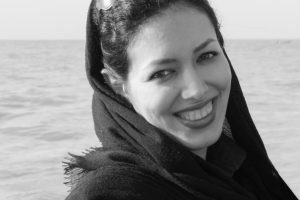 In early November, Tehran’s Revolutionary Court sentenced three young Baha’is to five years in prison on charges of “acting against national security through membership to the Baha’i deviant sect” and “spreading lies.” In the 2016-17 academic year alone, at least 129 students were denied access to university courses. The plight of Baha’i students and educators, of course, has not escaped the attention of the international community, particularly media and human rights organizations, which regularly condemn officials’ tactics to intimidate and punish the Baha’i community. But Iranian officials either ignore the protests or brazenly deny that Baha’is are discriminated against. In 2014, Mohammad Javad Larijani, one of the powerful Larijani brothers and the head of the Iranian Judiciary’s Human Rights Council, claimed that Baha’is in Iran were not subjected to any discrimination or human rights abuses, and that reports documenting violations of the rights of religious minorities were “clear lies.” He emphasized that in Iran no one has been persecuted or denied education for being a Baha’i. When Hassan Rouhani was elected to the presidency in 2013, hopes were raised that the persecution of Baha’is would ease somewhat, but these hopes have been repeatedly dashed. In fact, according to the spokesperson for the community at the United Nations in Geneva, the persecution of the Baha’i religious minority in Iran has grown worse under President Rouhani. In May 2017, Simin Fahandej told the Center for Human Rights in Iran (CHRI), “Unfortunately, the situation has not changed in the past four years, and if we look at the number of Baha’i citizens arrested, it has actually become worse. There are currently about 90 Baha’is in prison, Baha’i students are still denied university education, and hundreds of their businesses have been shut down, not to mention the abuse the community endures on a daily basis,” she said.